For over 30 years, Mary E. Conn Law has been dedicated to providing clients with quality, compassion, and real solutions to their legal problems. From our offices in Houston TX, our attorney Mary E. Conn represents people from throughout Texas, as well as in federal courts throughout the United States. 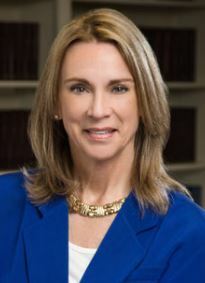 Attorney Conn is a lecturer on many legal topics, including white collar , and she has received recognition and awards from numerous bar associations. Our practice is "Client-Centered" which means YOU and your case get our attention, and we work for the best possible resolution for YOU. At Mary E. Conn Law, we offer knowledgeable, skilled, and thorough legal services in every area of our practicewhether it's juvenile crime, a drug offense or a white collar crime . However, we also understand that as a firm, we cannot represent any client in the best possible way without the assistance of the client. To help reduce your stress and to help you to help us protect your interests, we provide honest advice and clear explanations to empower you to make informed legal decisions with confidence. As a client of our firm, you can also be assured that your case will receive the attention it deserves and the direct involvement of experienced lawyer Mary E. Conn herself. We pride ourselves on being highly accessible and available and on always responding to calls and e-mails as promptly as possible. Additional features of our practice include a free phone initial consultation, Spanish-speaking staff, credit card payments, payment plans and flexible appointment scheduling to meet your needs. If you would like to discuss your case with an experienced Texas attorney from our firmcall or contact us today.